Sandy the Social Butterfly Welcome to SANDYLAND!! I thought about posting about this the other day and now that I’ve had a request for it I guess my mind’s been made up. 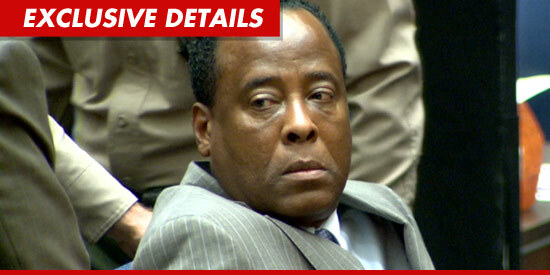 Monday, November 7, 2011: Dr. Conrad Murray was convicted of Involuntary Manslaughter in the death of Pop Icon Michael Jackson in 2009. Just as I watched the verdicts in the OJ Simpson trial, the Michael Jackson (alleged) child abuse case, and just this past summer the Casey Anthony case (should have been guilty!! RIP Caylee), Blair and I watched the verdict come in for Dr. Murray. Although I am happy that he was found guilt, I do have mixed feelings about the whole thing. I dunno. I grew up listening to Michael Jackson and his death was a huge shock. Many people couldn’t care less but for me, being a child of the 80’s, it was a big deal. Here’s my wayward take on it: I think Dr. Murray was wrong. He swore an oath when he became a doctor, to do no harm in his practice….in fact, the Classic version of the Hippocratic Oath states; “I will neither give a deadly drug to anybody if asked for it, nor will I make a suggestion to this effect. In purity and holiness I will guard my life and my art.” Dr. Murrary went against the Oath when he decided to help Jackson ease his suffering. I think Dr. Murrary may have felt stuck between a rock and a hard place. Here was this icon of a man – his employer – begging for help. Asking his personal physician to help soothe the constant pain he was in. But Michael wasn’t asking for Advil. The drug he requested, Propofol, an anesthetic, was not something that should have ever been administered to him. There was no reasoning for it. And Dr. Murrary should have said no. But he didn’t say no and now a man is dead. A family is without their son, brother, father, uncle. And a world is without his music. As I watched the verdict for Murray come thru I said to Blair; “he’s so emotionless.” But the longer I watched and the more coverage I see I can see the pain in his face and the burden he will now carry for the rest of his life. May God be with him and bring him peace and comfort. May the Jackson family and the music community give him forgiveness. May we be compassionate to him as he now struggles with the rest of his life. 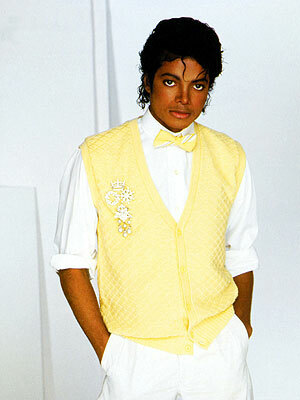 RIP Michael Jackson. We miss you. PS Thanks Elizabeth for the push for this post.